These Stand Off Systems are Inexpensive! Sign Holders are Available on this Site in an Array of Sizes! Buy Stand Off Systems from this Retailer Now! 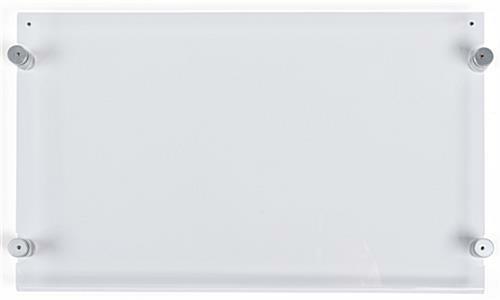 Four satin silver anodized aluminum edge-grip standoffs are included for wall mounting. 17" x 11" Prints easily fit into the top loading frame. 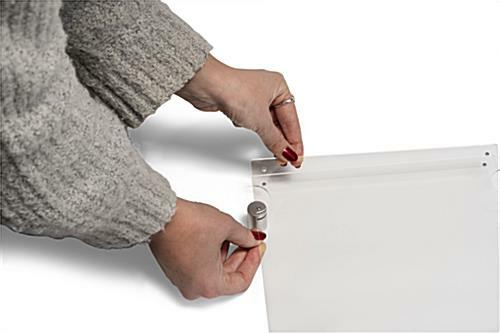 Magnets are built into the top of the fold-over acrylic frame to keep it closed. The sign holder with mounting hardware is inexpensive for any sized advertising budget. 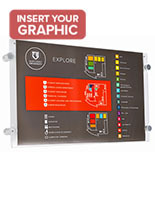 Communicate with patrons in a business with this professional looking display. These clear panels are stand off systems that are elegant. This display is simple enough work well in any setting. 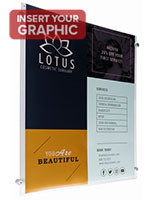 The acrylic panels can showcase a poster in any indoor establishment. Promotional displays, like these stand off systems are made for fast changes. Users can update the signage without having to take the frame off the wall. Each poster display is made for mounting on a wall. These stand off systems are made for horizontal images. The top of each acrylic panel has two small magnets to hold the unit closed. These stand off systems, known as acrylic panels, are perfect for any type of business. 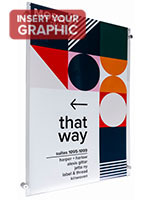 Each sign display is mainly used for sales flyers, promoting new items, and much more. Some of the morepopular places to find these stand off systems are retail stores, travel agencies, and schools. These stand off systems include the mounting hardware that is needed for hanging on the wall. See the instructions below for details on how to mount the unit. 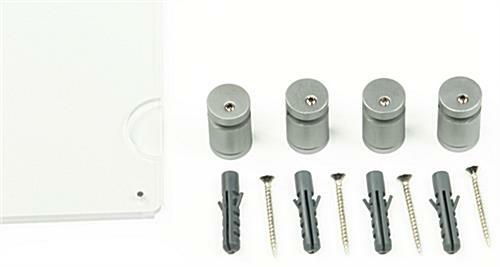 These holders are stand off systems that have a satin silver anodized finish on the aluminum standoffs. One of the best features of this display is that the clear panels will hold any type of paper. These print frames are stand off systems that are for 17" x 11" signs. Most standard printers can fit that size paper so there is no need to go to a printing company for documents to be made. Please Note: This sign frame holds prints in horizontal format only. Due to the top-loading design and edge-grip standoffs, the format cannot be mounted in vertical format. 18.9" x 11.1" x 1.3"